Beverly Lucas is the CEO for Knight Composites a global company designing and manufacturing high performance wheels for the cycling and triathlon industries. Originally hailing from Sheffield, Yorkshire, UK, Beverly is the true definition of a multinational company leader. Like many CEOs of international companies, Beverly’s hard working pragmatism and dedication has led her to global success. Beverly explains to Dalton Koss HQ the importance of being politely pushy and why it is easier to run a global company when you are living and/or working in a number of countries across different time zones. I started racing when I was 9 for my local club, the Rutland Cycling Club, the oldest UK cycling club. Riding and racing your bike against your twin sister instils an independent spirit. My mum still tells me today that she knew when I was 4 years old that I would be the one in the family to fly the nest and go abroad to become an amazing leader. My mother’s support has been the one constant in my career for which I am continuously thankful. I like to think that I have my mum’s dedication. She has always pushed and encouraged me. If I am honest, my leadership journey has been relatively easy. I never experienced sexism in the cycling industry; I have only been treated with the upmost respect. I think this is because I always maintain my ground, fighting for what I believe in. It stems from having determination, fire and passion and making it clear that I will not be trodden on. I have never let my gender get in the way of what I wanted to do. My leadership journey started at Felt bicycles. In addition to having a strong work ethic, I had a brilliant boss by the name of Bill Duehring. He always steered me in the right direction and is the great-uncle I never had. Bill shaped my career, giving me advice to become the great leader I am today. If I can be half the person Bill is, then I would be happy. Bill encourages his staff to succeed. He was and still is my mentor. When I moved to Bend, USA, in 2005 I became one of their first telecommuters. Bill had faith in me to continue my job no matter where I travelled. It takes a certain individual to work from home in a management role for another company. It requires work life balance. Felt was a real success story for me. I was one of the few women in the cycling industry in a management position and I’m proud to say I helped put Felt on the map with its first Tour De France team. It was wonderful to do this for Bill and he still thanks me today. In 2007, I became pregnant with my second child Cameron and my husband and I decided to buy a bike shop in June/July of the same year. I just finished working for Felt, I was within three weeks of delivering and I was the volunteer coordinator for the Cascade Cycling Classic. Simultaneously, I was consulting for elite athletes, managing their contracts. It was at this time that Jim Pfeil came to me with (then) Edge Composites wheels and told me that the company needed some guidance. Jim called me and asked if I would consider speaking to Edge’s CEO about product globalisation. I started to research Edge and I was impressed with their product considering they were a small company, but I uncovered that Edge didn’t own their own name or IP and a Chinese company was ripping them off, so I knew they needed help and I started to work for them from Bend. We then relaunched the company under a new name the following year at Eurobike and it was incredibly successful. I also took ENVE to their first wind tunnel tests using my connections at Felt. The results were less than spectacular and I recommended that they needed an aerodynamicist to assist their composites engineers with a much faster design. At that time, the Australian cycling team, Fly Virgin Australia, was sponsored by, and using, ENVE composites. As an avid Formula 1 fan, it caught my attention whilst watching the Melbourne (Australia) Gran Prix back in 2009, that Jenson Button’s F1 team, then Brawn GP, were also sponsored by Branson’s outfit. I used this connection to basically blag my way into the Brawn GP compound in Brackley, UK, to discuss the potential of having Brawn GP aerodynamicists help with our wheel designs. An alliance with Brawn GP would have been massively expensive, but their Head of Trackside Aerodynamics told me about Simon Smart, who had an engineering background with Red Bull and was also a big cycling fan. At the time, he was already involved with a couple of brands in the bicycle frame industry and was rapidly becoming renowned as one of the top aerodynamicists. I had a beer with Simon and we got along like a couple of old mates. We started working with Simon and before we knew it, we had the Smart ENVE System. It is about having the courage to believe in what you think is ground breaking and pursuing that thought. This courage sets you apart from others and is essential in being a leader. It was watching the Melbourne Grand Prix at 5am that I had the light bulb moment of gaining better aerodynamics via Formula 1 race engineering. It is about trusting your instincts. I went after the Brawn GP to work on wheel dynamics and a successful partnership was borne out of that. It was fun! After working for ENVE and spending a couple of years – ironically – working in the bicycle industry in Melbourne, I was approached by Jim Pfeil and Kevin Quan and asked me to join their quest to create the world’s fastest bicycle wheel. I immediately responded with yes! Initially we didn’t have a brand name and tossed around some ideas. It was my partner Sean who approached me and suggested to call the brand Knight, my dad’s surname. Taking on this name was sentimental for me. My dad passed away when I was young. He introduced me to cycling, sharing his love and passion for the bike with me from a very young age. I was asked to be the company’s CEO by our investors. This proposition took a little longer to agree to. Heading up a new company is a huge risk, especially as a parent with the responsibilities of two children. It takes a lot of courage and faith to move out of a regular job with a regular paycheque to owning your own manufacturing company. Unyielding hard work, devilishly long hours and very little sleep – it’s hardly a glamorous role and certainly not one for the faint hearted. However, this risk has paid off with Knight Composites comprising of an amazing team of people creating fantastic results. Each person is 100% committed to our brand and products. The whole team works incredibly hard, but we all love what we do. Like any cycling team, to make it to the top you have to be prepared to sweat and work with your teammates; you’re in the race together. I’m incredibly proud of what we do, who we are, where we are going and how much fun we will have in getting there. Being the team leader – or CEO – is just the small print. 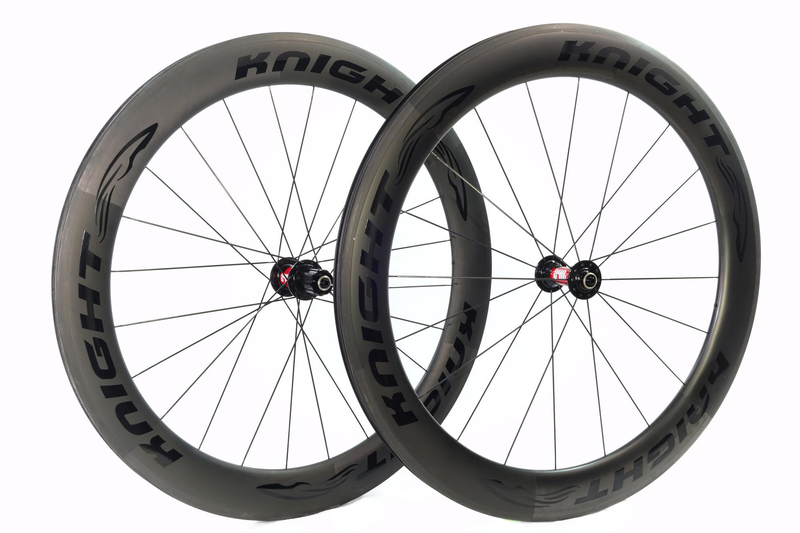 Knight Composite wheels are used extensively by triathletes and cyclists. Dedication; a large quantity is needed. Courage; you have to have faith in your own ideas and courage to see them through. Face-to-face conversations and relationships; building trust, confidence and integrity across all your professional relationships is necessary to build a successful career. Confidence; it is important to believe in yourself and see any program of work through to the end. Humility; it is important to understand the perspective of others and what it is like in their shoes. I am lucky that I have worked at the global level with different cultures so I find it easier to get on with a diversity of people at multiple levels. I always love to help people, getting them where they need to be. I thrive on other people getting a kick out of what we do. Creativity; be creative in how you make things happen, identify the gaps and see the synergies. Build strong partnerships; each partner will bring something to the table. I have amazing staff here in Bend and you need to trust and empower your staff. I am not full of my own self-importance. Face-to-face communication, whether on Skype or flying to meetings, is the best way to communicate. This is incredibly important in Europe and Asia, where discussions around a table are still far more respected than emails and phone calls. This human side to a working relationship is incredibly important, something that emails and phone calls cannot replace. Cycling is a business, but most of us are in this industry because we love it! There’s nothing better than getting to know your business partners in and out of the conference room by putting a ride together after work or going for a swift one down to the local pub! That’s the difference between business travel being a chore and actually becoming an opportunity to experience other ways of life. It was a lot easier to travel when I was young and single. It’s difficult to leave your kids when you have an important job to do but I have never missed Molly and Cam’s birthdays yet!. It is really hard to keep a work life balance of being a good mum and employee. Most of the time I think I am pretty good at this, but it does require hard work. I attribute a lot of my success to my mum. She taught me dedication and instilled a sense of just keep going; basically resilience and strength. I am fortunate to have amazing people in my life that I can count on. They provide a great support network and will be honest with me, calling me out when required. In essence, it’s actually easier to run a global company when you are experienced in living and/or working in a number of countries and across different time zones. I think you have to be prepared to put in the hard yards and make the effort to travel to other countries to really understand the mechanics of global business. 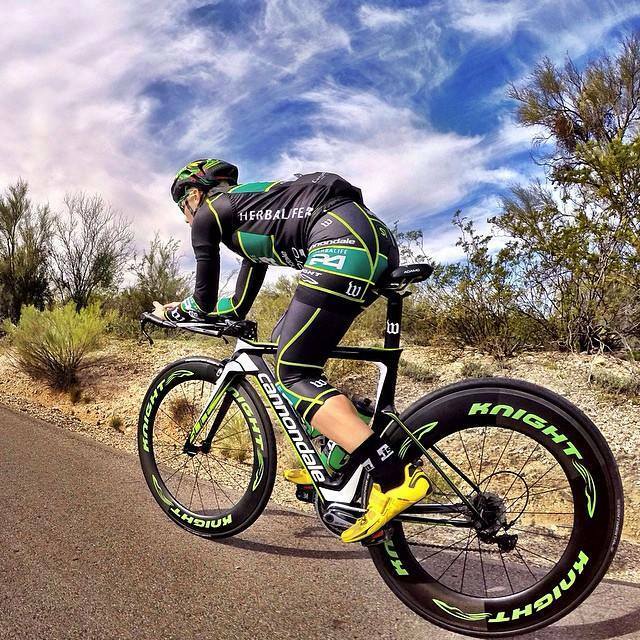 Azjer Airgas Pro Team with Knight Composite wheels at an international Pro Race. I don’t subscribe to the view that you can be a rounded leader by only ever working from one desk in one city – for example, how can you possibly head up global sales or global marketing if you only have a one-sided geographical and cultural perception of how industry and commerce work in other countries if you don’t actually live it? You can’t be parochial about business matters and equally you have to learn to empathise with the people you’re working with. I have such phenomenal friendships with past business partners because I spend time getting to know them. My health and wellbeing is central to functioning across multiple time zones. I don’t do yoga because I can’t spend more than ten minutes in a group setting without laughing. My back yard comprises of 350miles of off-road trails. I don’t ride as much as I would like to, but I often choose to ride and run on my own, avoiding groups, so I can think and plan accordingly. My personal time is pretty haphazard anyhow and I can’t stick to a daily regime. The only constant in my life is school pick up and drop off. If I need to clear my head, I take a break and go for a run or ride. I am totally dedicated to what I do. I am a research junkie. I am a tech geek. I am not a TV watcher as I don’t really have time for TV. This time researching keeps me ahead of the game and my competitors. I am lucky to have a lot of common sense and find the time to talk to a lot of people. I look at what other companies are doing. It is mind blowing as to what is out there. I love my job. I do have a sincere passion for what I do but I also care about what everyone is doing. For those who want to create their own business or product within the cycling industry, my advice is to reach out to knowledgeable people even if you don’t know them. Ask people to help you. For the most part, 90% of people in the cycling industry are in it because they love it and they are happy to help you. Across any industry, there will be handfuls of people who don’t care and will not give you the time of day. You will quickly learn who they are. Don’t be afraid to reach out. LinkedIn has been an amazing tool for me that I use daily; ultimately you need to learn how to communicate yourself to the greater professional world. Don’t be afraid to be politely pushy. 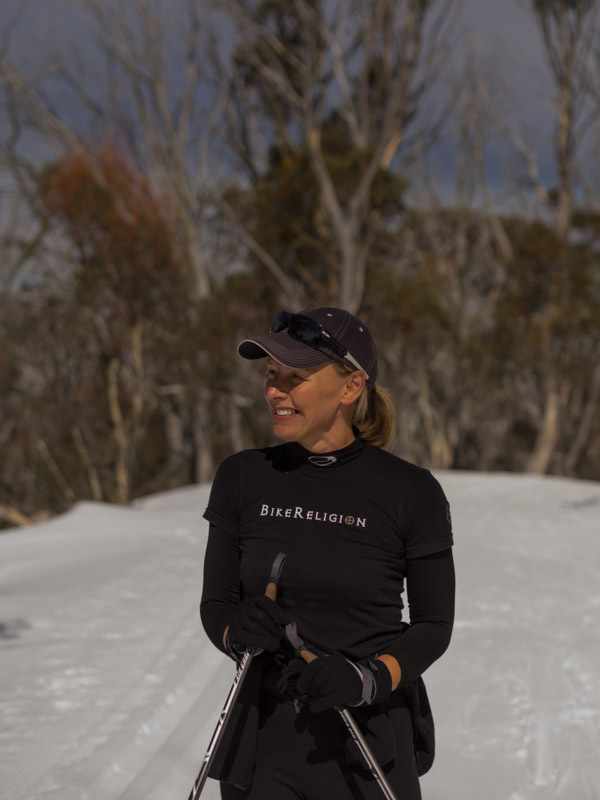 Beverly looks after her health and wellbeing through a number of sporting activities including skiing.